The first rule of loaning money to friends is often: don’t do it. But that’s what friends (and family) are for, right? When a friend asks for money, it can be hard to say no. Whether it’s covering the bill for lunch or helping out with a down payment for a new home, it’s gratifying when we’re able to help. However, loaning a friend money comes with the risk of not getting repaid. In fact, a survey by PayPal found that a third of U.S. adults say friends and family owe them at least $450. If you did not take the time to discuss a repayment deadline, you shouldn’t threaten mafia involvement. Give your friend the benefit of the doubt that paying you back simply slipped his mind or that you had a different expectation about timing for the repayment. Use this opportunity to get on the same page and agree to a repayment schedule. Maybe you’ll get your repayment right then and there. If the overdue balance is more than your friend can handle at one time, she probably views the debt as insurmountable. Let her know that you are sympathetic to her situation, but you still expect to get your money back. Start to discuss a payment plan that works for both of you. Invite her to set it up and share it with you first. If she fails to do so, come up with your own schedule and let her know you’ll follow up every time payment is due. Let tech do the talking. 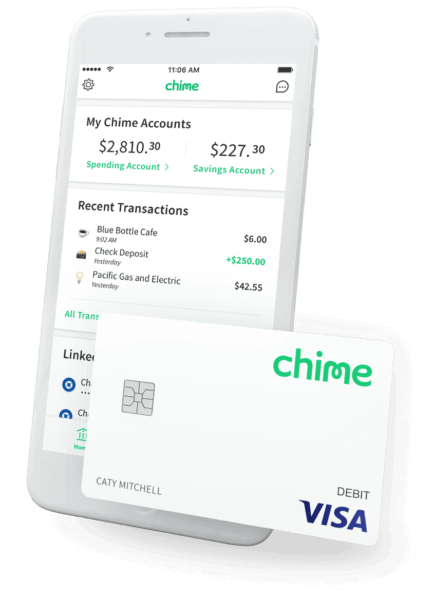 Use apps like Chime, Square Cash, or Venmo to request money transfers. Your friend will need to approve the request before you get paid, but it’s another good (and polite) reminder that you’re waiting for reimbursement. This method also makes getting paid easier so you can avoid the “check is in the mail … oh, it must have gotten lost” saga. For small amounts of money owed by a friend, consider a more casual opportunity to square up. The next time you’re out together and the bill shows up feel free to say, “Since I covered dinner last time, want to get this so we can call it even?” If your friend cannot cover the entire amount owed at that moment (be understanding she may be on a tight budget), ask her to pitch in for what she can afford. Respectfully decline covering your friend in the future. Depending on how serious the situation is (a couple bucks to cover lunch is very different than thousands of dollars) you may need to say no to lending money in any amount to your friend in the future. You have every right to make that determination for yourself. Keep in mind debt can cause major stress on your friendship. Refusing to put either of you in that situation is the best way to avoid it. Even after all this, your friend may never pay you back. In that case, you have to decide if you can get over it and move on, or if the debt is too much to forgive. If it turns out to be the latter, let your friend know you don’t feel comfortable continuing with your friendship because of the way they are treating you. If anything, it will be your last ditch effort to encourage your friend to do the right thing. What to do if you owe someone money. It happens! (Remember the statistic at the beginning of this post?) But it’s never too late to correct a mistake. Be proactive and let the person you owe money to know that you haven’t forgotten about the debt via a transfer money app. Then, create a payment plan and explain what the steps you will take to make it right. In the future, if you can’t afford something, politely decline and know there will be many more opportunities. And always remember that friends are friends, not banks.